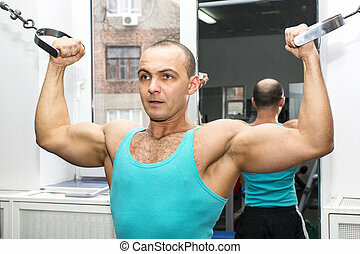 Athletic man training biceps at the gym. 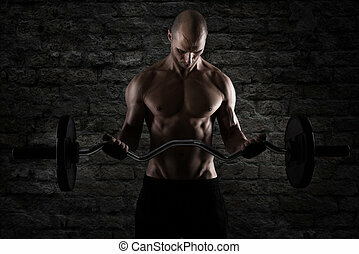 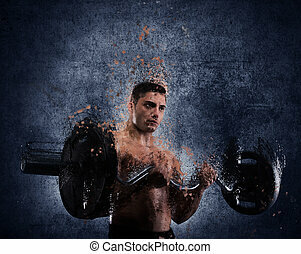 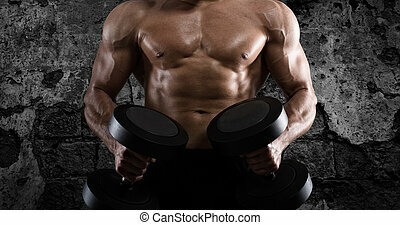 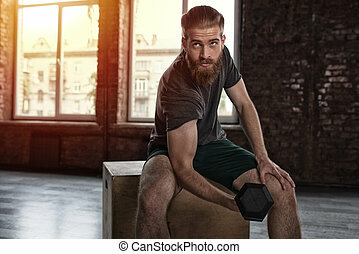 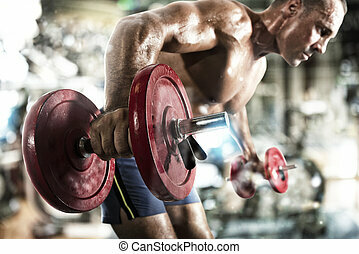 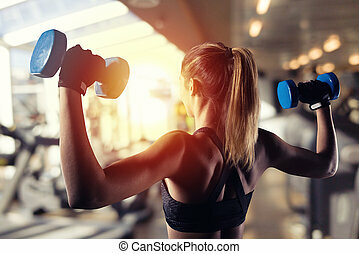 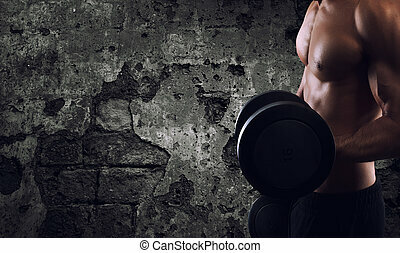 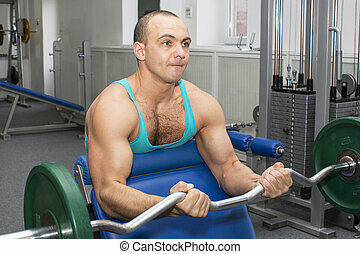 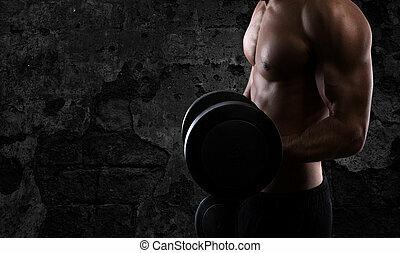 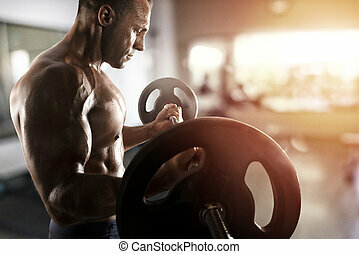 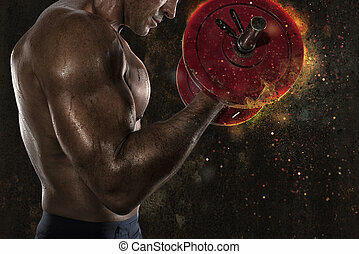 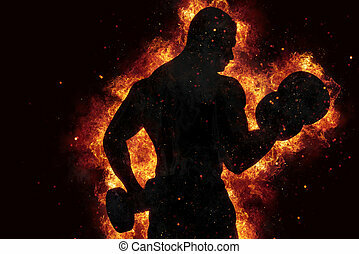 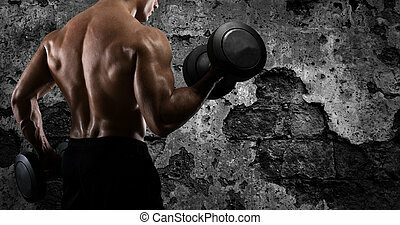 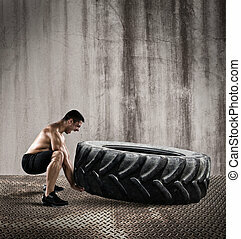 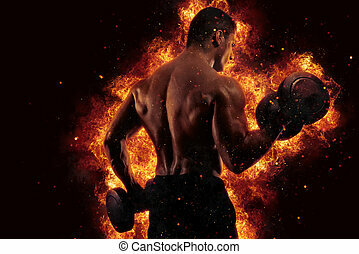 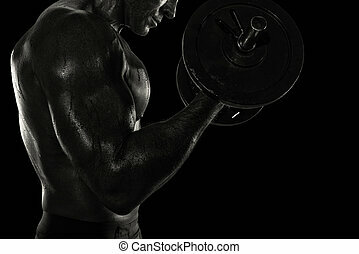 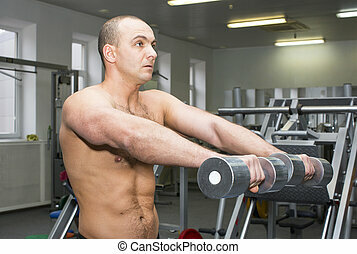 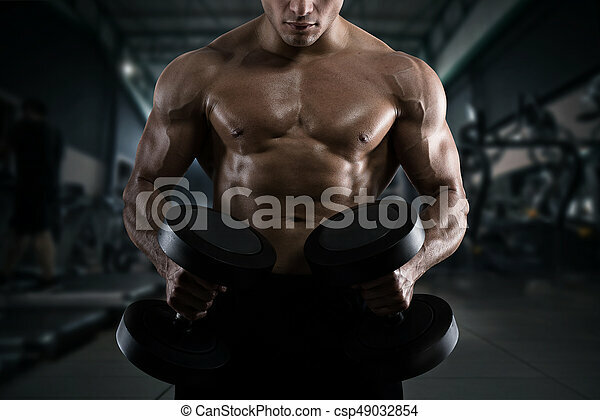 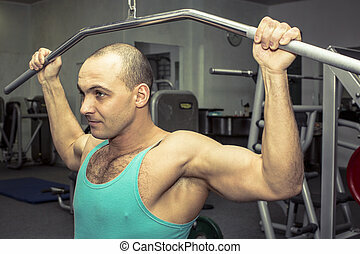 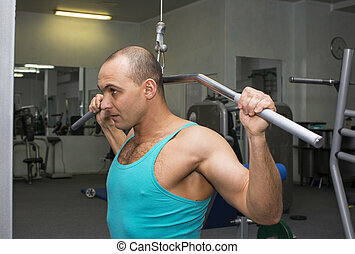 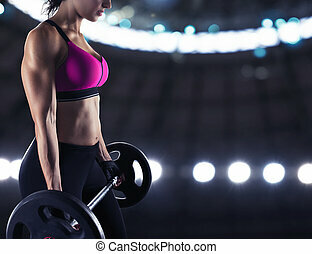 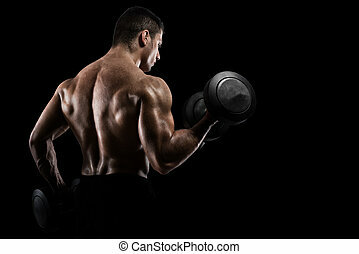 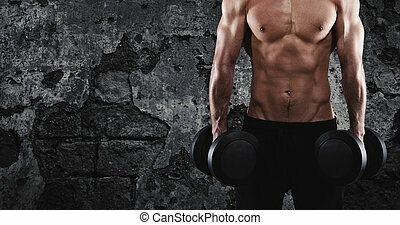 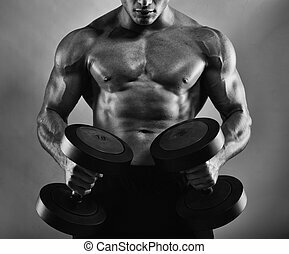 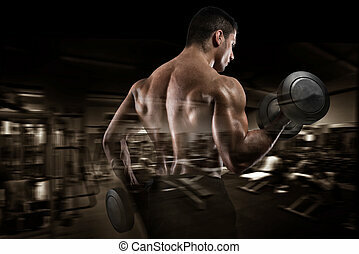 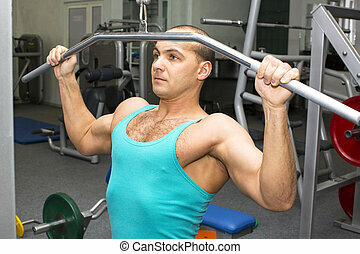 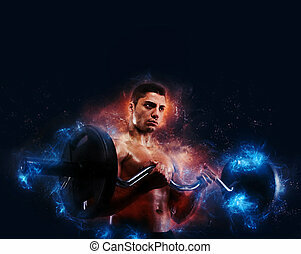 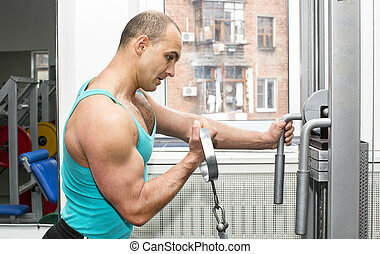 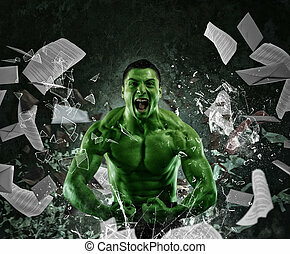 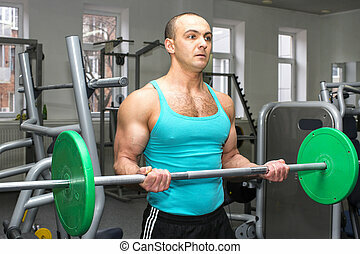 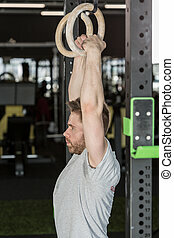 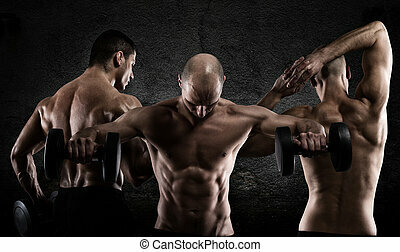 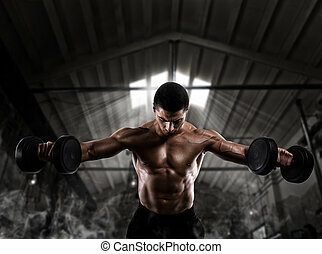 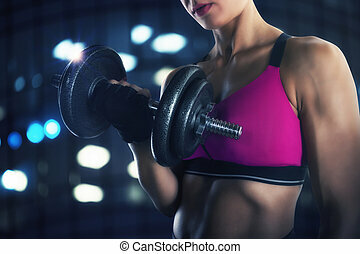 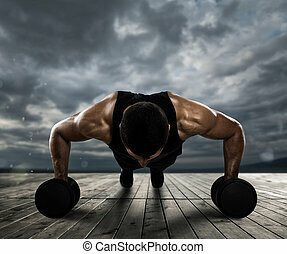 Athletic muscular man training biceps at the gym. 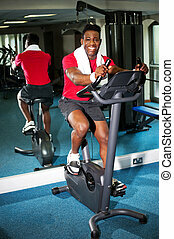 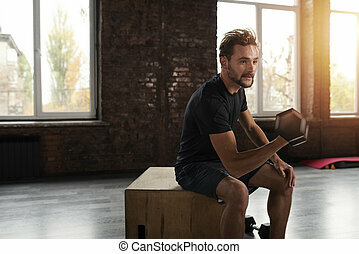 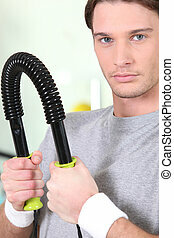 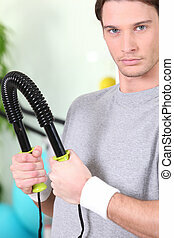 Smiling athletic man on exercise bike at the gym.